I’ve enjoyed Witemeyer’s books before, and this historical romance is a well-crafted addition to the author’s bibliography. I much preferred To Win Her Heart over Witemeyer’s previous offering, and many of the things I liked about this book were similar to what I liked in her debut novel, so I’ll try not to repeat myself too much. The heroine is, of course, a seemingly flawless heroine with a secret in her past, and the hero is a physically attractive man with an even bigger secret. The villain is relentless and clueless, and you know from the beginning how the story is going to pan out. Read the synopsis again—tell me you don’t know what’s going to happen (but I won’t believe you!). Still, the characters are interesting, the setting feels realistic, and the romance is slow and sweet. Plus, I like the idea of the heroine running a lending library from home. This makes for some easily-relatable discussion about books, which adds a nice dimension to the plot. I should also mention that Witemeyer changed her tactic for this novel—instead of a young woman coming into town/the area and meeting the geographically-established hero, it’s the hero who’s the new person around. I appreciated the change. Overall, I’d say that if you enjoy historical romances, or Witemeyer’s previous work, this one is worth the read. 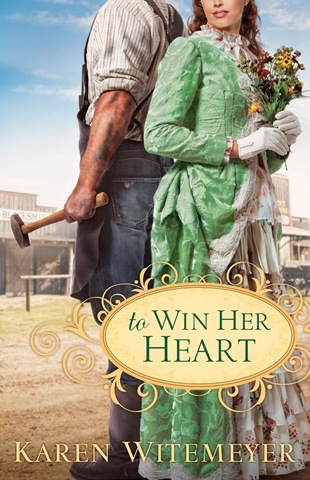 I might not recommend it to someone trying historical romance for the first time, but on the whole it’s a nice diversion with good characters, and the kind of story that can be easily shared with friends, mothers, and grandmothers, and chatted about afterward. 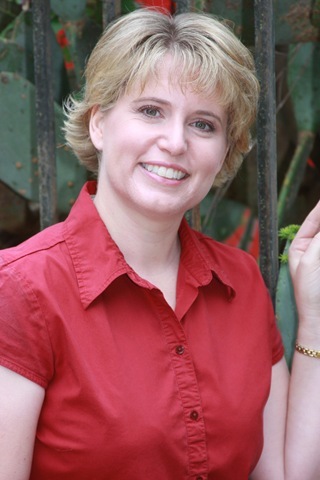 Karen Witemeyer holds a master’s degree in psychology from Abilene Christian University and is a member of ACFW, RWA, and the Abilene Writers Guild. She has published fiction in Focus on the Family’s children’s magazine, and has written several articles for online publications and anthologies. A Tailor-Made Bride is her first novel. Karen lives in Abilene, Texas, with her husband and three children.Visit Karen’s Web site atwww.karenwitemeyer.com. This entry was posted on Friday, May 27th, 2011 at 2:25 pm	and is filed under Tasty Tomes. You can follow any responses to this entry through the RSS 2.0 feed. Both comments and pings are currently closed. I fell in love with this book from the first page, anyone who is a Karen Witemeyer fan will not be disappointed. 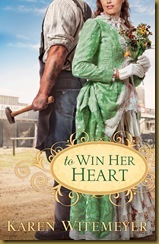 The characters are well defined, and will steal your heart when you aren’t looking!